MATCHWATCH : Sweden (n) sponsored by Pippy Longstocking - Page 4 - Hob Nob Anyone? Snowflake Royal Sterling still can't finish his dinner but that was a far improved performance from him. Alli also improved after the goal. Trippier has been outstanding. Pickford has done everything you could ask and more. He’ll score a goal soon. Morale and the continuation of that is what is driving this team forward. Dropping one of them would send the wrong message. Altogether now. Altogether. AthleticoSpizz Sterling will start the next game. I think he will to. Although completely useless in front of goal and poor quality layoffs it appears he seems to scare the the sh+t out of defenders which is a useful attribute. England can certainly beat any of these 2 teams. Having stuffed Russia in the Euros I'm mystified how they have got this far. Just watching the last 10 minutes of this game and the last 10 minutes of the Belgium Brazil game kind of highlighted the difference between a good player (Sterling) and a World class player (Hazard). Last night, every time the Belgians cleared, Hazard would control and turn with one touch, beat his marker, surge forward and draw the foul, using up time and relieving pressure. Today, Sterling would try something fancy and give away possession instead of just running into the corner and protecting the ball. As for the game, I thought Sterling and Alli were once again really wasteful/anonymous. We were worryingly toothless, yet also completely comfortable. At times I was having mad stad flashbacks. Concerning how little we're getting Kane on the ball in attacking positions. A pcunt? he must be at those prices. I keep thinking about the amount of time they queued up for it in this heat. Such madness. These are different times. Yeah, plenty of pint chucking going on here as well. Dicks. Sterling was excellent yesterday but unfortunately the view of him will be clouded by his finishing. Alli was pretty anonymous but popped up with the vital 2nd. Will take that. Someone tell Sterling that if the keeper slaps your boot in the box as you go past just go down. The was a dead on pen if he falls there. And I think his confidence would have gone up when Kane inevitably knocked it in. 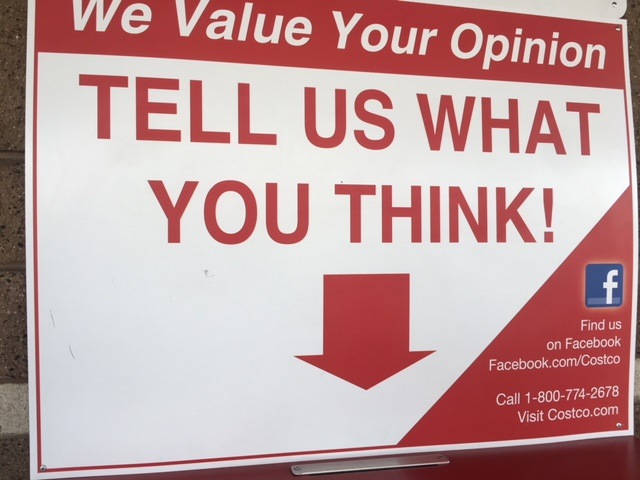 This was dropped in the suggestion box at my local Costco. Probably not what they had in mind but it was what I was thinking, so I told them. Would appreciate anyone that as any after game celebrations to share. but not the stupid blonde bint that trampled on a paramedics car somewhere up north putting it out of action. windermereROYAL I think everyone is in a agreement that Sterling is a bloody waste of space. people were up in arms in the pub. His work off the ball has been good. Needs to improve vastly in the final third with finishing and his assist play. I though Ali and Henderson were pretty poor yesterday. Giving the ball away too often. Against a better side like Belgium or France, or Croatia, we could be punished. windermereROYAL but not the stupid blonde bint that trampled on a paramedics car somewhere up north putting it out of action. Last time I checked London was widely regarded to be part of the south. windermereROYAL Would appreciate anyone that as any after game celebrations to share. In London but yeah +1 and there was a taxi destroyed in Nottingham. I’ve never understood people who willingly vandalise things, especially when they’re happy. We’re all having a good time why be a pcunt and smash something? oxf*rd dicks. 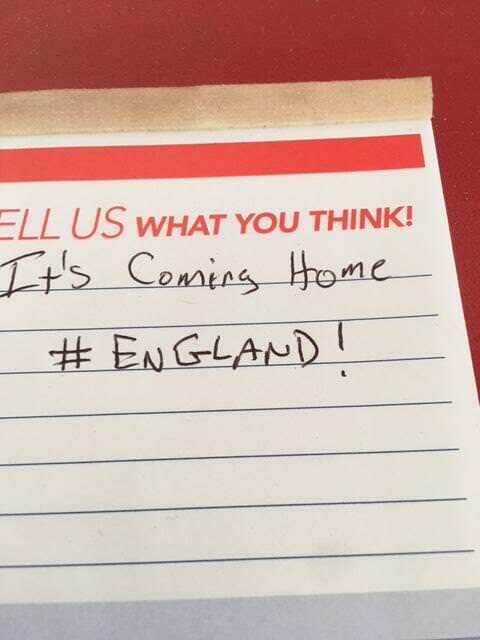 Watched the game at the Three Lions in Milwaukee and a local Fox 6 News team were there throughout. Brilliant day mixing it with ex-pats from Blackburn, Manchester, Rochdale, Stockport, Bromley, Birmingham and all over. Bar was at its three hundred capacity an hour before kick off. The cameraman (originally from Norway!) got the goal celebrations after Harry's header and yours truly is the one in the glasses. Ark Royal Watched the game at the Three Lions in Milwaukee and a local Fox 6 News team were there throughout. Brilliant day mixing it with ex-pats from Blackburn, Manchester, Rochdale, Stockport, Bromley, Birmingham and all over. Bar was at its three hundred capacity an hour before kick off. The cameraman (originally from Norway!) got the goal celebrations after Harry's header and yours truly is the one in the glasses.